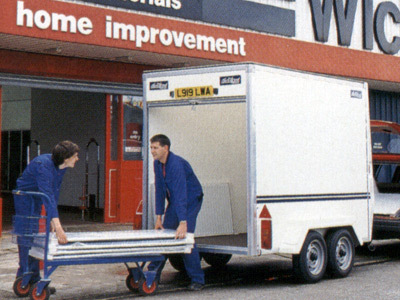 A Conway van trailer reveals a thousand and one different possibilities, such as its versatility. Available in 8ft, 10ft and 12ft versions, these van trailers have been built to accommodate an amazingly wide range of loads, ranging from bulky goods and heavy equipment to personal items such as household furniture and effects. With this in mind, further options such as roller shutter doors, tailgate ramps and full height double rear doors enable easy access to inside the trailer body. 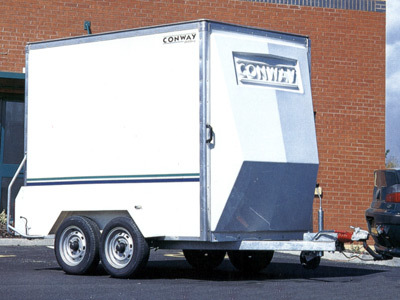 Built to the exacting standards traditionally associated with all Conway trailers, these trailers are robust, highly durable, easily serviced and because of the method of construction, repairs, should they be needed, are both simple and economical. Making light work of everything it does, the Conway van trailer is designed to be aerodynamically efficient and its stylish looks will turn heads wherever it goes. Smooth clean glass coated plywood panels. Easily sign written – a mobile advertisement. Twin axle for towing and loading stability. Choice of rear access with either a roller shutter door, full height double door or tailgate ramp. 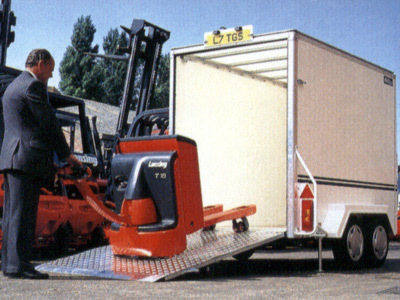 Wheels outside body for maximum load space (no wheel arched) and stable towing. Aerodynamically shaped nose cone for good looks and towing efficiency. Translucent roof to maximise daylight. Fully waterproof, hygienic, secure trailer body. Most types of interior fittings to meet individual customer requirements.